Hello! Thanksgiving is here, which means football. Before I pick this week’s games, let’s do a quick power ranking of holidays. 5. New Year’s Eve: A disaster. It starts late, there’s too much drinking and puking. There’s too much pressure for it to be great. 4. Halloween: Just like New Year’s Eve, except you need to be wearing a costume, which means you have to think of a costume. 3. Christmas: As you get older the presents thing becomes a conundrum. If you want something, you can just buy it for yourself, so it’s hard to think of what to ask for presents. People still want presents, and they want you to be creative about getting them presents which is really tough. But, you do get stuff, and the tree is cool, and I like egg nog so it’s not all bad. 2. Thanksgiving: No pressure to think of anything clever, or buy anyone anything. It’s just a few hours of hanging with the family and eating. (AND FOOTBALL). 1. Fourth of July: No pressure to do anything other than grill and drink. It’s during the summer, which is nice. You don’t have to be around family, just friends, the people you choose! There is nothing controversial about it. America is great, and we should be stoked that we don’t work for England. Also, fireworks. I am 37-37-1 on the season. I was 4-4 last week. The Detroit Lions are 7-point favourites at home against the Chicago Bears. 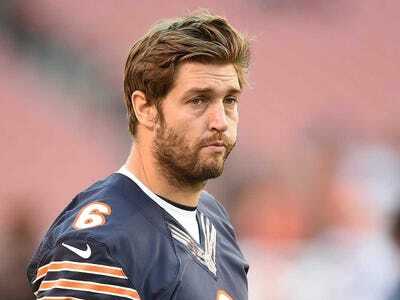 Joe Sargent/Getty ImagesJay Cutler is sad. The Chicago Bears are probably the most disappointing team in the NFL. They are loaded with talent on offence. They have an offensive coach. And yet their offence is ranked in the middle of the pack. The Lions are similarly disappointing. Despite having a lot of offensive talent, they are failing to score. The Lions started strong, but now they’re sliding away, losing two in a row. Their last three games were all close wins, which makes me want to take the points here. So… holding my breath … I am going to take the Bears and hope Cutler does enough to cover the spread. 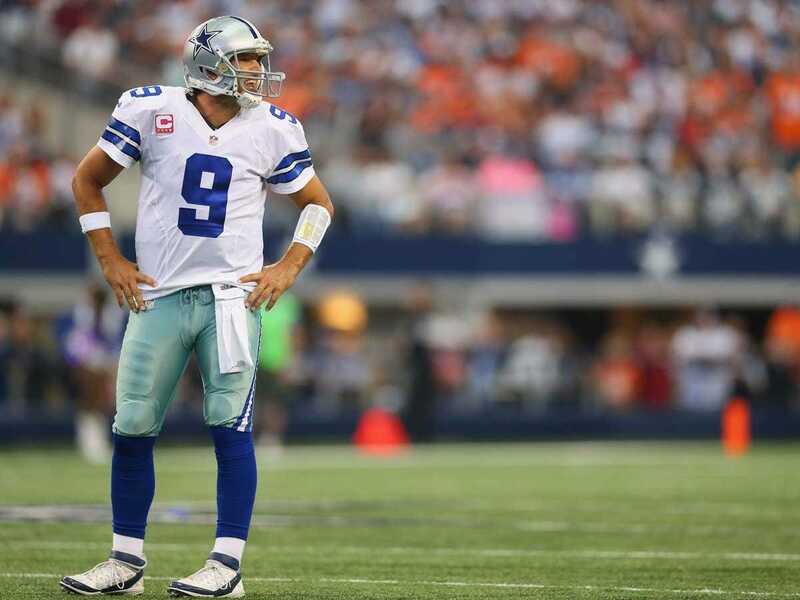 The Dallas Cowboys are 3-point favourites at home against The Philadelphia Eagles. Ronald Martinez/Getty ImagesRomo to Dez Bryant will be the big play here. This is a huge game! The winner will be the leader of the NFC East. For the Eagles, this is the season. They have failed on the road against the 49ers, the Packers, and the Cardinals. They have to win a good road game against a good team if they want to be taken seriously. Plus, they play the Seahawks and then the Cowboys after this game. They need to win these three to have a shot a bye week in the playoffs. The Cowboys have been surprisingly good this season, thanks to a grinding run game. However, this matches up nicely for the Eagles! The Eagles struggle against passing teams. Romo and Dez Bryant will have a lot of big plays that will make this game close. But, I think the Eagles offence with overpower the Dallas defence. I think the Eagles’ defence can match up against the Dallas offence, and I like the Eagles to win this game. 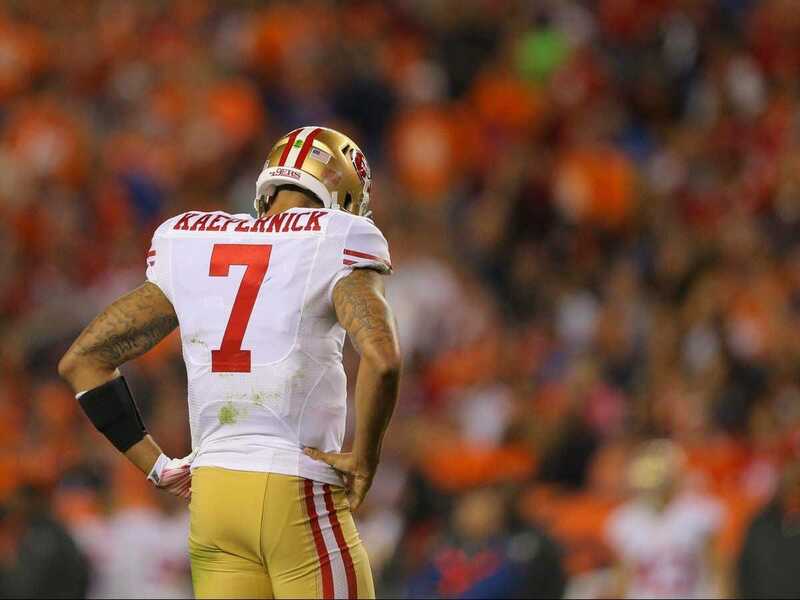 The San Francisco 49ers are 1.5-point favourites at home against the Seattle Seahawks. Jim Edmonds/Getty ImagesKaepernick has to win this one if he wants to go to the post-season. This is another huge game! The loser is pretty much out of the playoffs. I honestly have no idea how to pick this game. These teams feel identical. They both have offenses that are sputtering. They both have strong defenses. I guess I will go with the 49ers simply because they are at home. The Seahawks have been shaky on the road all year.